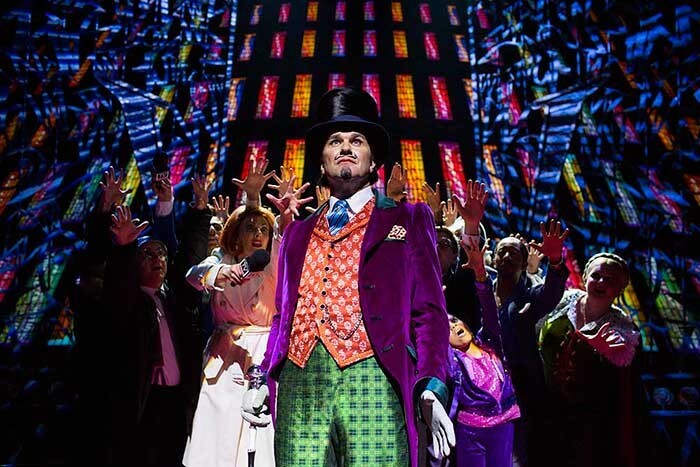 Entertainment lighting specialist White Light was recently chosen to supply lighting for the new musical version of Charlie and the Chocolate Factory, which opened earlier this year at London’s Theatre Royal Drury Lane to critical and public acclaim. 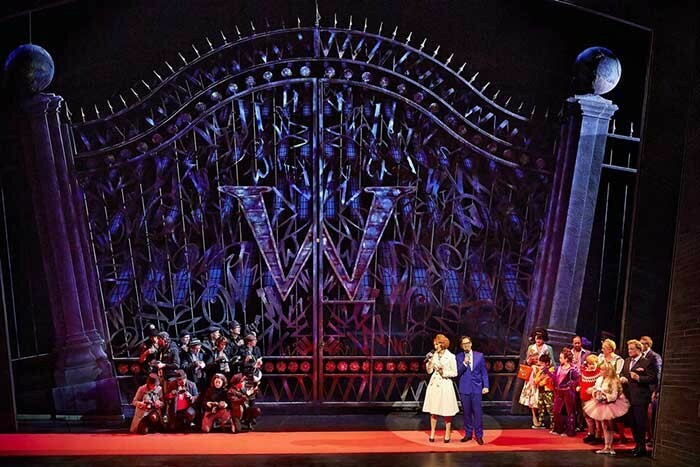 Charlie joins a long legacy of White Light supported shows in the West End, which currently includes the hit productions of Billy Elliot, The Bodyguard, A Chorus Line, Matilda, Les Misérables and War Horse. Directed by Sam Mendes – returning to theatre after directing Skyfall – Charlie and the Chocolate Factory features an A-list creative team including writers David Greig, Marc Shaiman and Scott Wittman, choreographer Peter Darling, designer Mark Thompson, sound designer Paul Arditti, projection designer Jon Driscoll and lighting designer Paul Pyant, who has collaborated with Mendes regularly during and since his time at the helm of London’s Donmar Warehouse. Pyant, working with associate lighting designer, David Howe, specified a very modern lighting rig, using moving lights and LED lighting fixtures rather than colour scrollers to provide all of the colour changing in the show. The load-in for Charlie began three months before opening: “When there was still snow on the ground outside,” as senior production electrician Gerry Amies notes, with White Light staging equipment deliveries from the company’s London base to suit the fit-up schedule. Pyant’s rig includes Martin TW1s and Auras, Vari-Lite VL1000AS, 1000TS and 3500Q Spots, Robe LED Wash 1200, Clay Paky Alpha Wash 1200 and Alpha Wash Halo, Chroma-Q ColorForce 72 LED battens, Chauvet COLORdash Accent LED fixtures, Source Four LED Lustr+ spotlights as well a selection of more traditional fixtures: Source Fours in a range of beam angles, birdies, Minuette Fresnels plus Altman UV fixtures. Followspots are from Robert Juliat, with three Lancelot 4kW spots in the spot box and two Super Korrigans in side auditorium box positions. The entire rig plus smoke and effects, set practicals and video - over 20 DMX universes-worth in total, several universes distributed via City Theatrical SHoW DMX wireless systems - is controlled by an MA grandMA2 system, with the lighting programmed by Jim Beagley and the video by Emily Harding. White Light also supplied the lighting and technical production for the spectacular opening night party, which took place at the Grand Connaught Rooms. The company’s events team, which specialises in bespoke event production, ensured the new show received a deliciously colourful welcome, which hit the spot with guests. 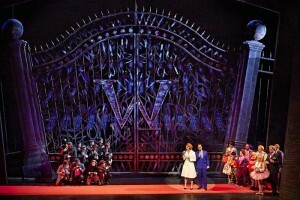 Charlie and the Chocolate Factory is currently running at the Theatre Royal Drury Lane in London’s West End.